Phew, what a relief…it’s done! As I sit down to write this short post on Christmas Eve, I’ve just finished wrapping the last of my presents and can now finally relax. And that’s a key statement for me right now. This year seems to have been nothing but one big rush, and the build up to Christmas has been no different. Don’t get me wrong, I’ve had a lot of fun and this month has been action-packed to say the least, but the hectic pace and the rushing and racing around has left me with very little time to focus on some very key things that matter in my life. In many ways it feels like it’s been a constant battle against the clock this year. Me and my first-world problems huh! However I certainly don’t seem to be alone in this and if there’s one common complaint that seems to unite most people these days it’s the lack of time that we all seem to have (or don’t have, however you choose to look at it). This is something that I’ll be addressing in 2018, both in my life and on the website. I think it’s an important topic that needs to be addressed, and as I try to find ways in which to carve out more free time and to manage my time better, I’ll be sharing that with you. Likewise if you have any thoughts to share on this topic then please do feel free to post your comments below and we can begin a conversation. Perhaps we can all benefit from that. While we’re on the subject of time and presents, it really is so very true that time is one of the greatest gifts that we can give to somebody. And that’s always a key point at this time of year. For me, Christmas really isn’t about gifts. Yes of course it’s wonderful to receive a thoughtful gift from a loved one, and it feels even better to give to the closest people in your life. But more than anything the most important thing about Christmas is in giving your time to your friends and family. To have a chance to cut off from routine and to simply be present in each other’s company is what makes this time of year so special to me, but there’s another side to all this which we cannot ever forget. For all the great things that have happened this year, we cannot forget any of the pain and tragedy that has been experienced by so many. For all the people that are happy and smiling at this time of year, there are also equal amounts of people that are still suffering from life-changing events that have taken place. I know a few people who will not experience this Christmas with the same joy that they did last year, and even though I’m sure their wounds will heal in time, Christmas will never quite be the same for them. I’m really not trying to bring a downer on things, but I think as we join our friends and family and hopefully begin the festivities with a happy heart, we should all take a moment to think about those that won’t be able to do the same right now. We’re all going to have Christmases like that at some point in our lives, and so it’s critical to never take anything that we have for granted. Additionally, Christmas is also a time to reflect on the things that we’re most grateful for. Take a moment to think about that too; what is good in your life right now? And even if you’re feeling like you’re in a dark place, what light is finding its way through? We can all find gratitude for something if we look hard enough, even if it’s only something very small, but it’s this gratitude that can really help shift our perspectives. 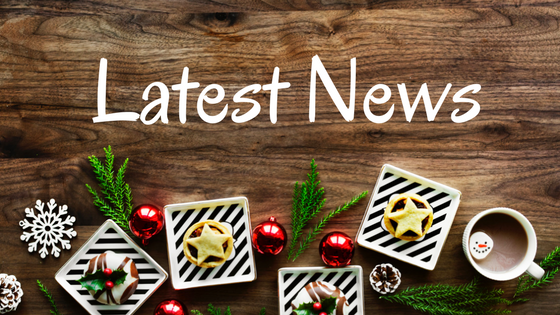 As this is a Latest News post I think it’s about time I let you know my latest news! Further to my last post I am still in the process of finishing off three new ‘people’ features and these should hopefully be landing with you soon. In the New Year I shall continue with my attempts to get a brand new Concept Adventure up and running and as things (hopefully) progress with that I shall keep you all in the picture. I will also be embarking on a foreign adventure for my big 40th birthday in February and will be seeking to turn that into my next feature length travel diary. And I also have a couple of new articles that are nearing completion. December has been such a crazy busy month and I’m really looking forward to shifting my focus back onto the website. It’s been a fun time, but what I’m excited about now is sitting down with my laptop, losing myself in my writing, and then sharing it all with you. Well before I sign off, I do have one final piece of news for you, and this is for any Star Wars fans out there. Okay so you may be saying that this is sounding pretty random, but hear me out. December saw the release of Star Wars Episode VIII: The Last Jedi and there have been some pretty mixed reactions and a lot of passion shown. And it is this passion that I’d like to refer to here. One of the key drivers of Lossul.com is in following your dreams, your passions, and in making the best of what time you have, no matter what potential limitations you may have in your life. And one of my best friends has been demonstrating this perfectly. For anybody that read my Lumsdale Falls article (check it out – Lumsdale Falls, Nr Tansley, Matlock, England) you will remember my friend Kev who joined me on that mini-adventure. Kev is a huge Star Wars fan and along with two of his friends, James and Ed, they’ve created their own Star Wars podcast. The Scruffy Lookin’ Podcasters are going from strength to strength and I write about this not just because Kev is a good friend, but because what they’re doing embodies the very message that I’m trying to put out on this site. Despite being busy people with families of their own, they’ve carved out a timeslot (and overcome the challenge of a time difference with James and Ed being over in America while Kev is here in England) to record a new episode every single week. The chat is informal, it’s funny, and the chemistry between the three of them is brilliant. If you’re a Star Wars and/or podcast fan then head over to iTunes and search Scruffy Lookin’ Podcasters. You won’t be disappointed. Well that just about wraps everything up for this post. 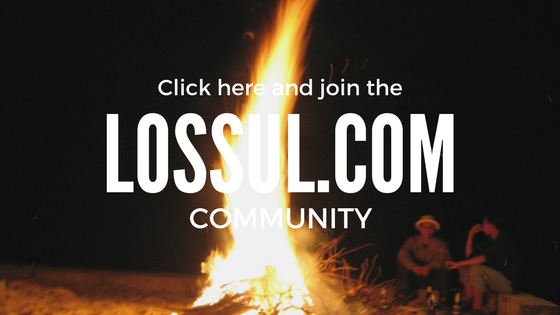 Once again, thank you for all your support this year and for each and every person that has read any articles and who has liked, shared, commented or interacted in any way whatsoever; and to everybody that has signed up for the Lossul.com newsletter, I am grateful to every single one of you. Having this website is a dream come true for me, but to have people showing a genuine interest takes it way beyond my dreams. Merry Christmas to each and every one of you, and I wish you a fun and adventurous 2018. Thank you so much for your comment and also for the quote; that’s not one I’ve heard before. Thank you. What you say is so true and it’s crazy that some of the hardest things in life can turn out to be gifts in disguise. Or is it just if we choose to look for meaning and perspective? It’s so easy to go through life with an attempt to avoid difficulty, hardship, and pain; yet the irony of it all is that it is those very things that can be the making of us and which help us to grow. It doesn’t feel like it at the time, and oh man the pain can be unbearable, but it’s very rare to not come out of these times with a better understanding of ourselves and with a deeper sense of gratitude.